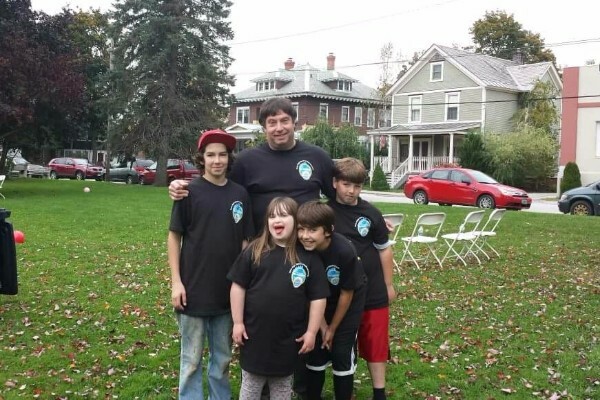 Many may have heard of Ian's unexpected passing, leaving his 4 children without their dad. Ian was a loving parent, US Marine and as many know so proud of his Scottish heritage There is no way we can make this loss any less for these kids but if somehow we can help to support them in his loss this would be the best way to do it. Please take the time to share and like on Facebook so we can reach as many people as possible. Just an update: The kids have expressed that they want their Chester home to be their primary residence. As some of you may know, the house is in rough shape requiring a heating system, some windows must be replaced, 1 of the 2 bathrooms was damaged from frozen pipes and not able to be used and the kitchen needs a great deal of work. This has been the kids primary home all of their lives and it is my hope to make it work out that they can stay there, and stay in the school system they love. Ellen & Barton are working hard to do that. If anyone wishes to donate some time, when it comes time to helping in this endeavor, has unused kitchen cabinets.... Use your imagination. I am thinking this would be a great help to reach the kids goals! Please message me thru this site and let me know. Just want to remind everyone that calling hours are scheduled for this tonight from 6-8pm at Fenton & Hennesey funeral home in Bellows Falls. Ellen didn't know, until yesterday, that I had started this page for the kids. She was speechless and in tears as I am now when I see everyone's generosity. There is so much that has to be done to try and make some normalcy for the kids. She wanted to make sure that she got to thank each and everyone of you not just for your donations but also for your kind words and for sharing this with others. Calling hours are scheduled for this Thursday the 21st from 6-8pm at Fenton & Hennesey funeral home in Bellows Falls. On behalf on my Aunt Lisa and Uncle David, who express their deepest condolences to the family. We have met Ian's son who is friends with my nephew, Dom Handren. So sorry for this family's loss. God bless. On behalf of Teens Go Green We are sorry for your loss. I didn't know Ian well, but I do remember him from the "good ole' days" at C&S. Rest in peace, Ian. Miss you brother. See you upstairs.